Misty Ray of Perry, the adoptive mother of 16-year-old Sabrina Ray, pleaded guilty Wednesday afternoon to a class A felony related to her involvement in the teen’s death, which will result in a life sentence in prison. Misty was originally charged with 15 counts stemming from the May 12, 2017 death of her adopted daughter in her home in Perry. She reached a plea agreement with the State of Iowa through the Dallas County Attorney’s Office, reducing her charges to three felony counts. The most serious was first-degree kidnapping, which is a class A felony that carries a minimum mandatory sentence of life in prison with no opportunity for parole. She also pleaded guilty to two third-degree kidnapping charges, which is a class C felony with a maximum sentence of 10 years in prison for each. Misty was not sentenced at the plea hearing, having requested to be sentenced alongside her husband, Marc Ray, who pleaded guilty to four charges related to Sabrina’s death on December 21st. Marc was found guilty of three counts for third-degree kidnapping, as well as one count of child endangerment resulting in death, a class B felony. His maximum penalty is 80 years in prison, with the potential for parole after 35 years. The couple also face over $300,000 combined in fines for victim restitution, court costs, and surcharges. The sentencing hearing for Marc and Misty will be on Friday, January 18th at 2 p.m. in the Dallas County Courthouse. With the plea agreement, none of the five defendants in Sabrina’s death will be tried in front of a jury. 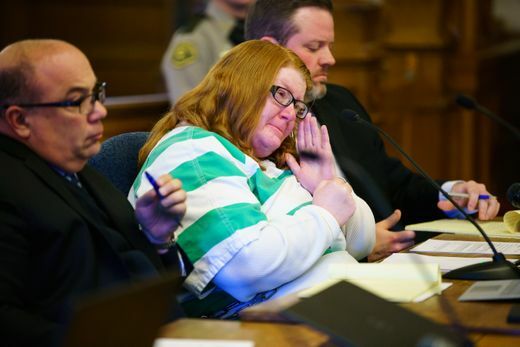 Two people, Marc and Misty’s son Justin Ray and Misty’s mother Carla Bousman, have already been sentenced to 10 and 20 years, respectively, for their involvement, and a fifth, Misty’s niece Josie Bousman, reached a plea agreement to testify against the other suspects. Raccoon Valley Radio will bring you more information as it becomes official.